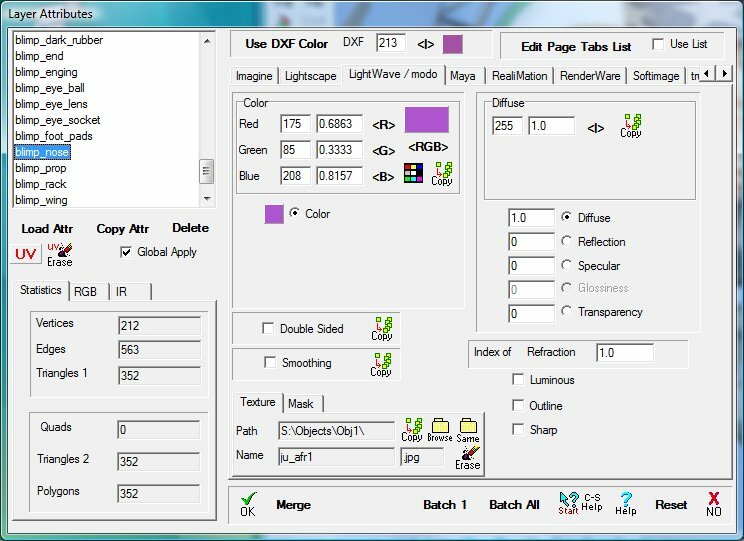 Tool palette and three toolbars. 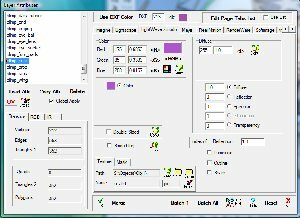 Buttons on toolbars are user adjustable. 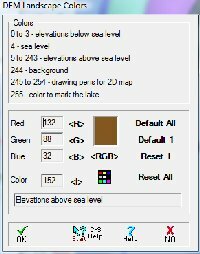 OpenGL viewer: wireframe, colors, textures. 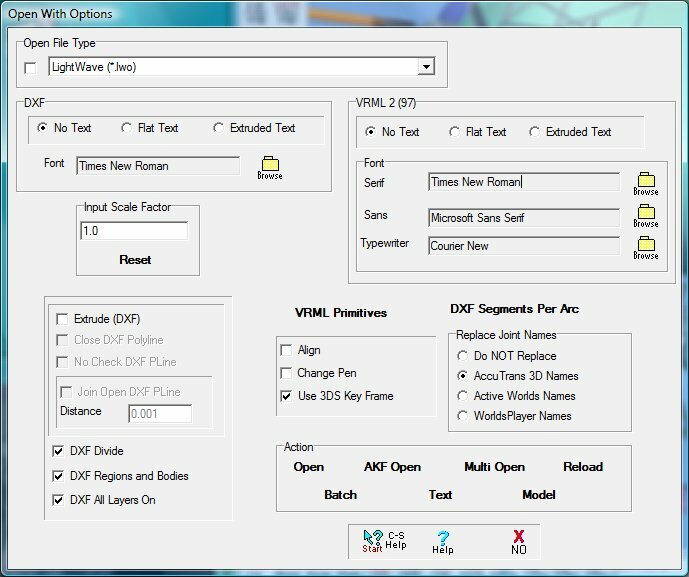 Select type of 3D file to read. 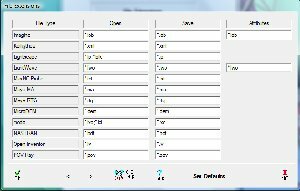 Modify all input file parameters. 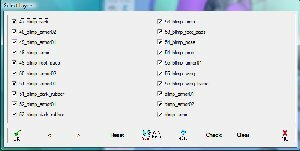 Read a list of files and save to the same file format. 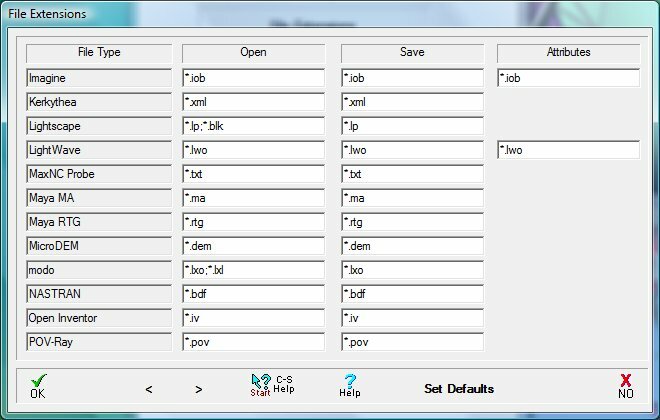 Select file format type for saving. 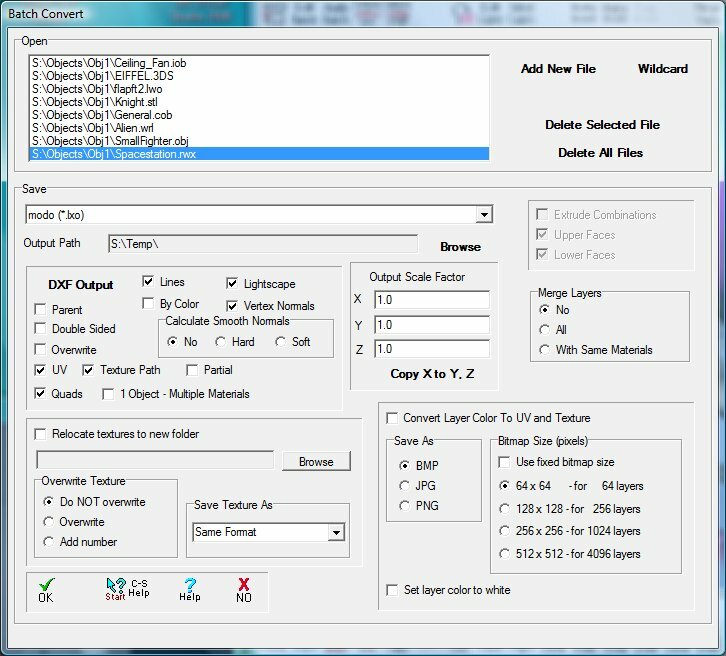 Set output scale factor and all other parameters required for saving the file. 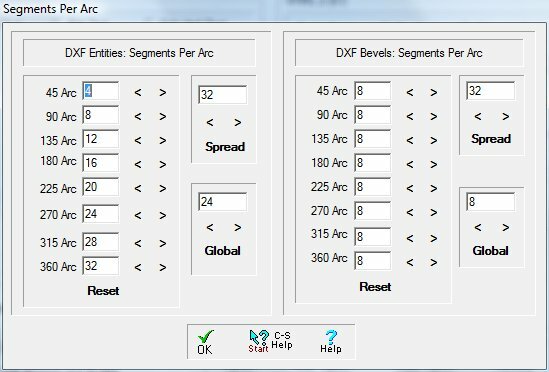 Set the number of segments per arc size for DXF entities. 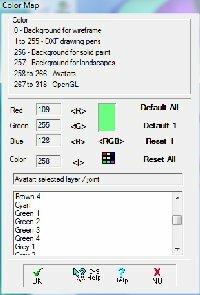 Set RGB colors for background, DXF drawing pens, avatars and OpenGL drawing pens. 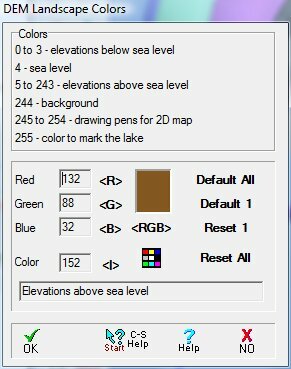 Set the RGB parameters for all colors used when displaying and editing landscapes. 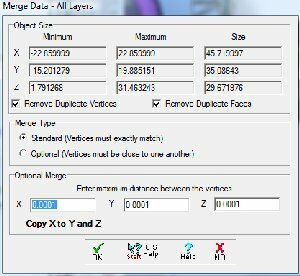 Select and deselect individual layers for export. 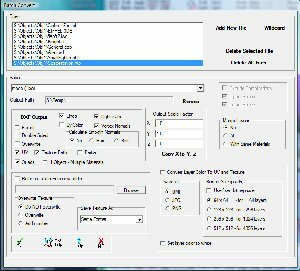 File extensions for reading and saving the various file formats. 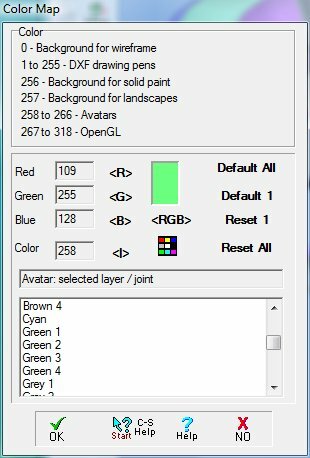 Set material attributes for each layer. 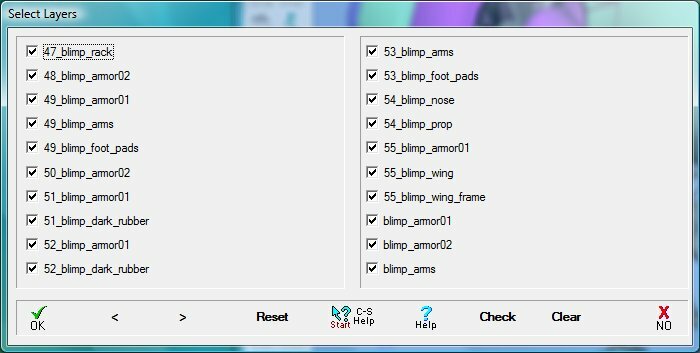 Adjust surface normals to make all triangles visible in one sided rendering. 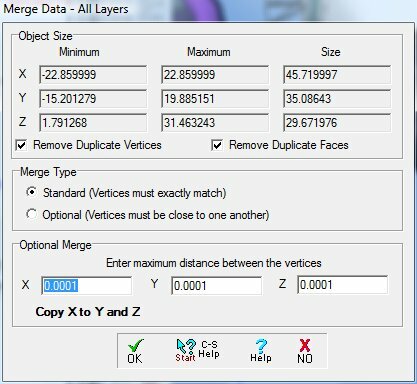 Option 1: merge vertices that have exactly the same X, Y and Z coordinates. 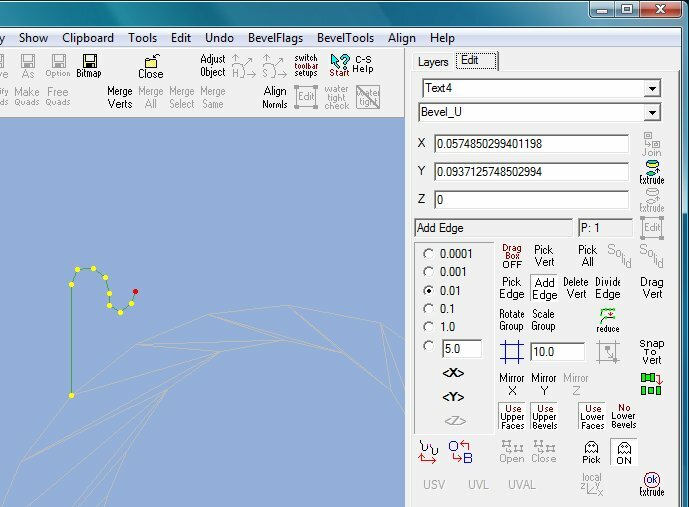 Option 2: merge vertices that are close together using a user specified distance for the X, Y and Z axes. 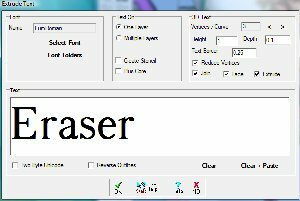 Select TrueType font and text. 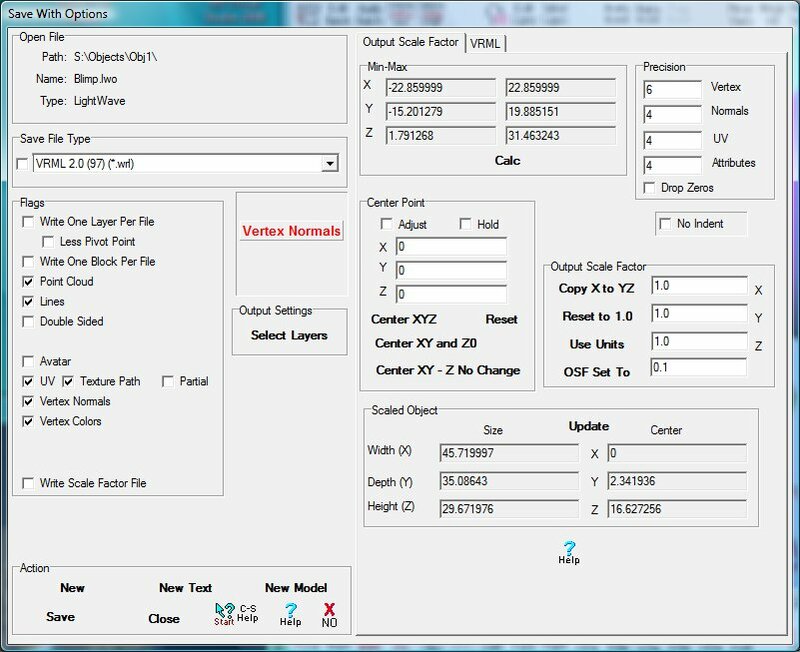 Set extrusions, facing, points, etc. 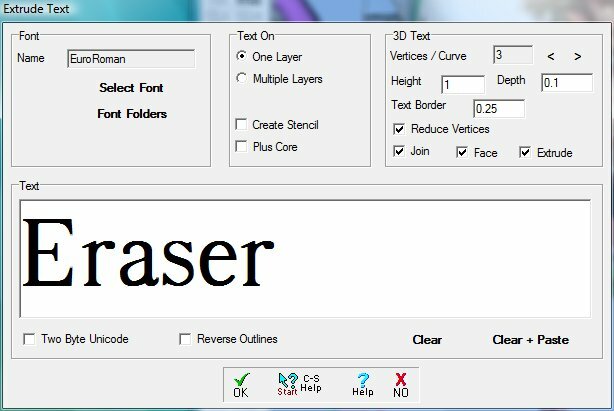 Control bevels and extrusions using text entry. 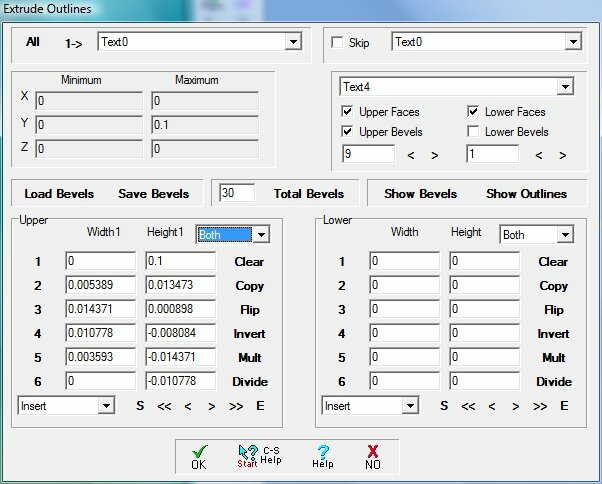 Load, edit and save bevels. 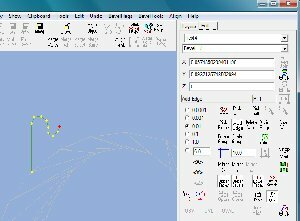 Controls for editing bevels and outlines displayed in the view window. 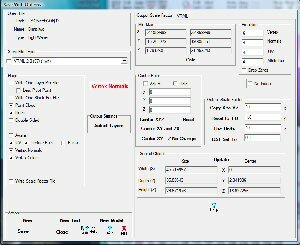 Use mouse to make changes in view window. 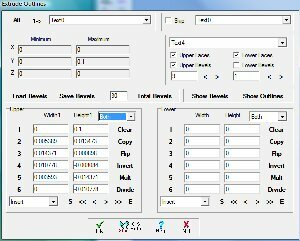 Set tags and build hierarchy. 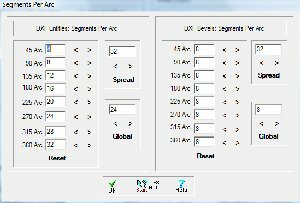 Set and test joints for avatars.